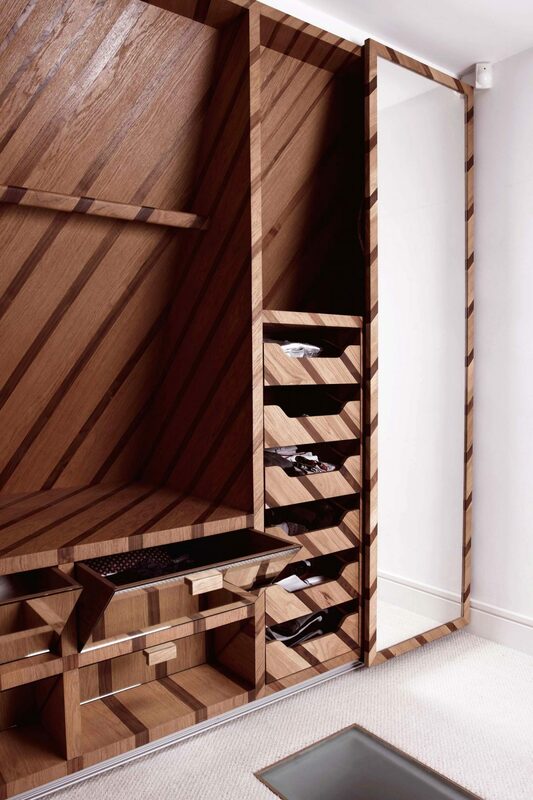 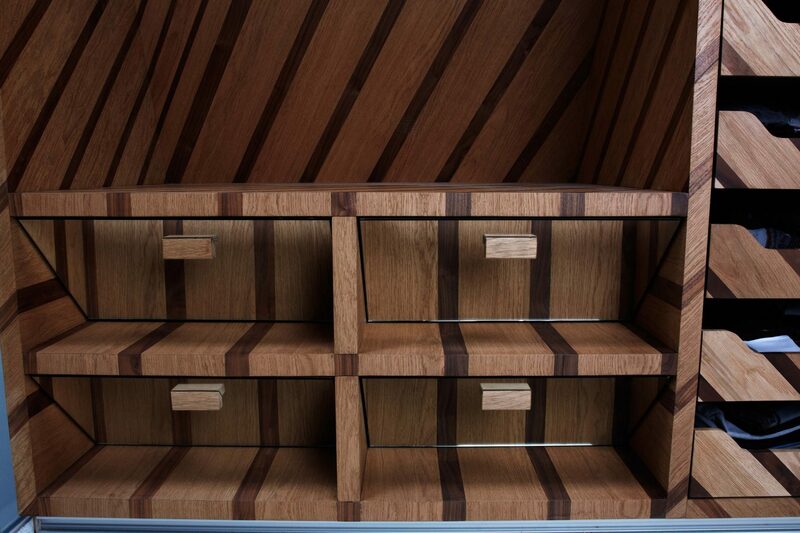 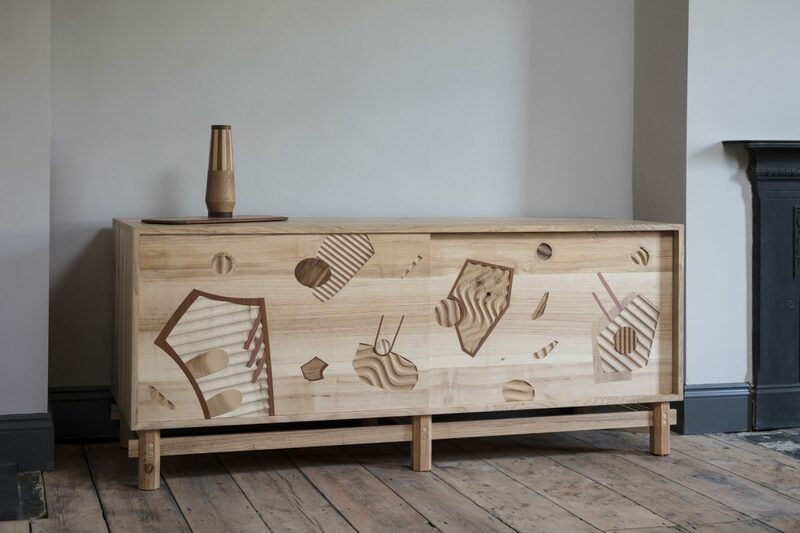 A wonderfully complicated cabinet inspired by optical illusion. 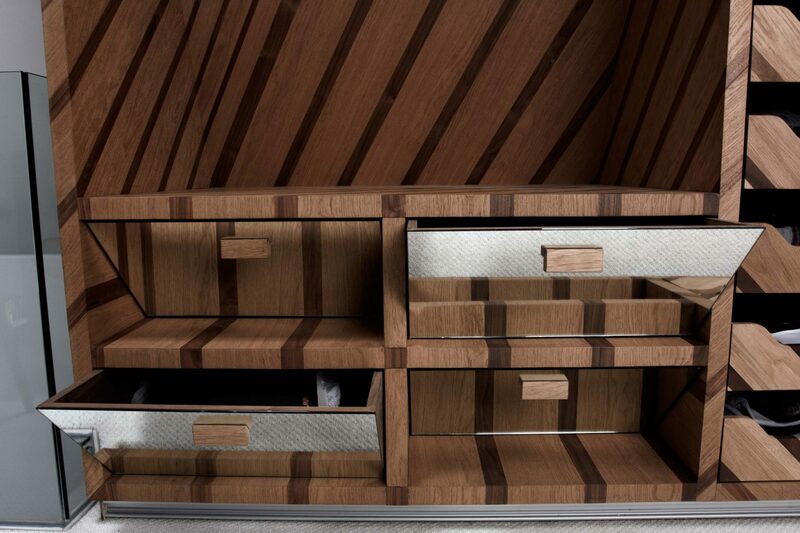 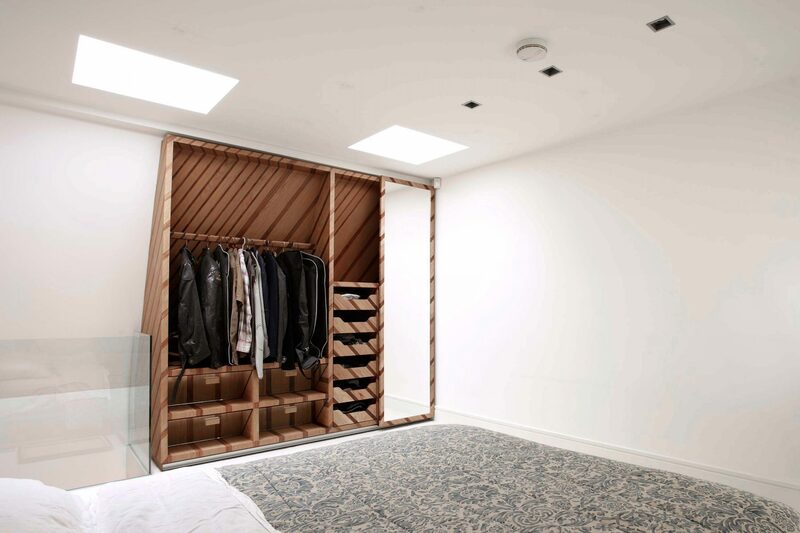 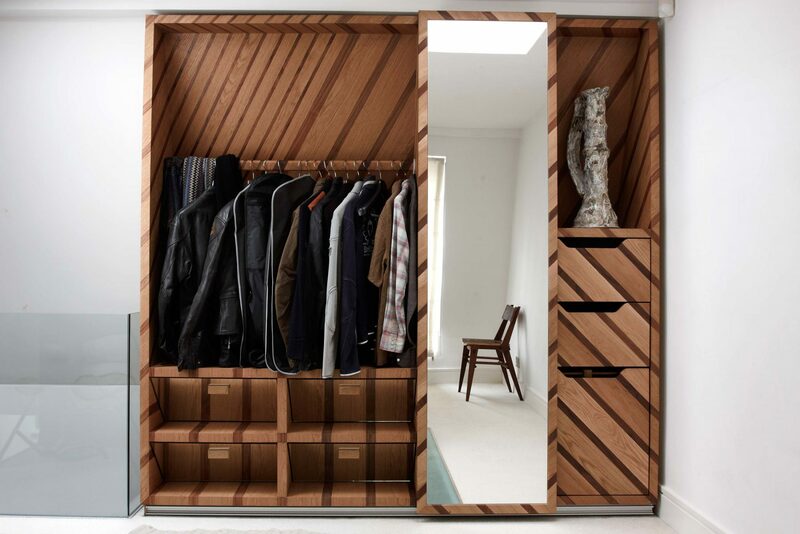 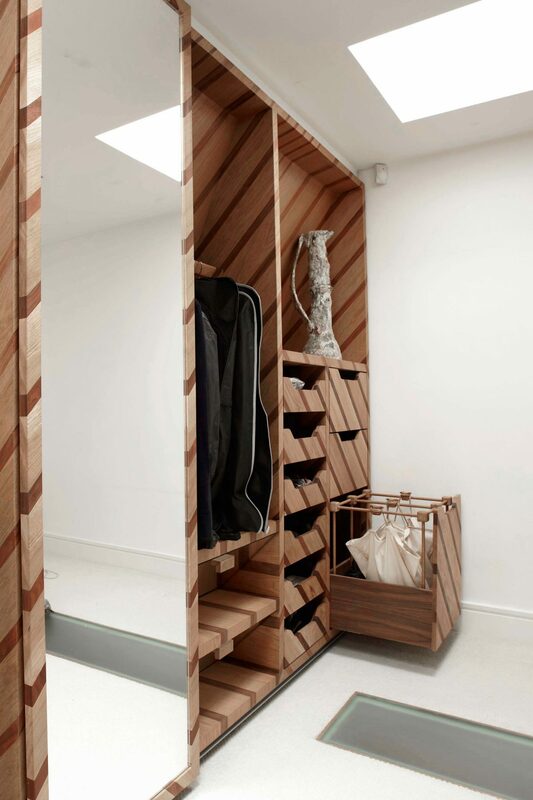 Fitting seamlessly into a sloped loft space, the cabinet uses pin-striped hardwood inlay and mirror to play with one’s perception of space. 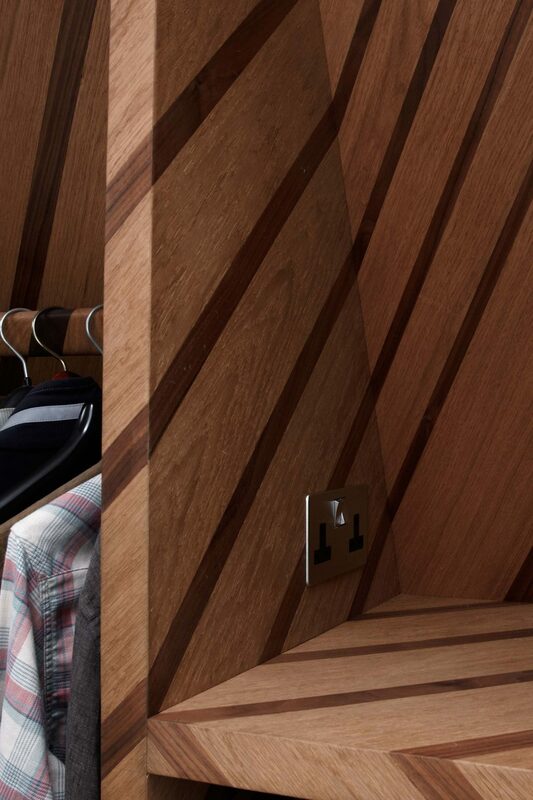 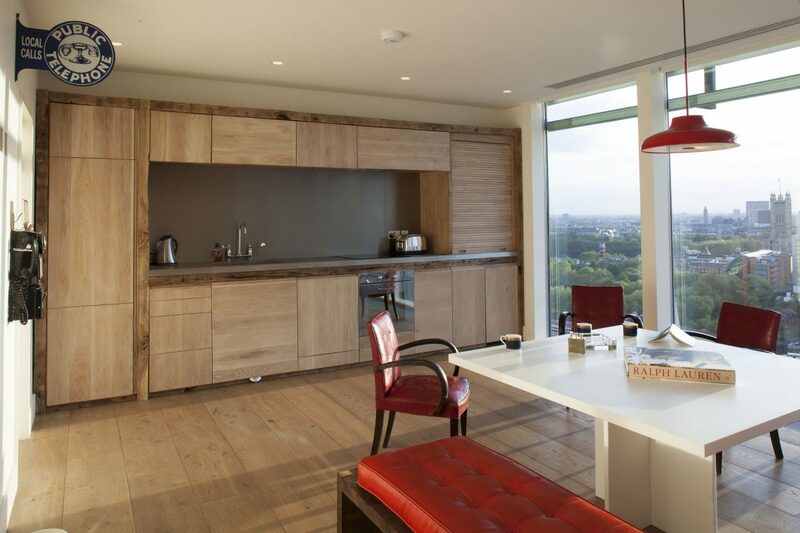 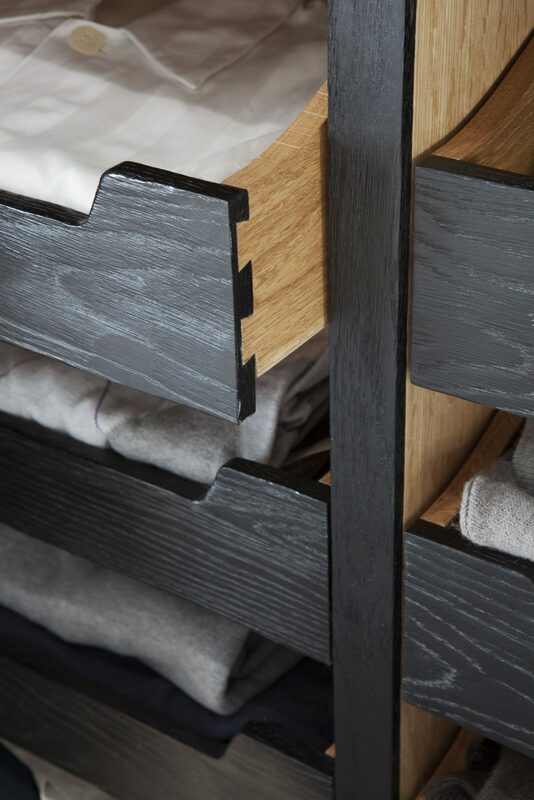 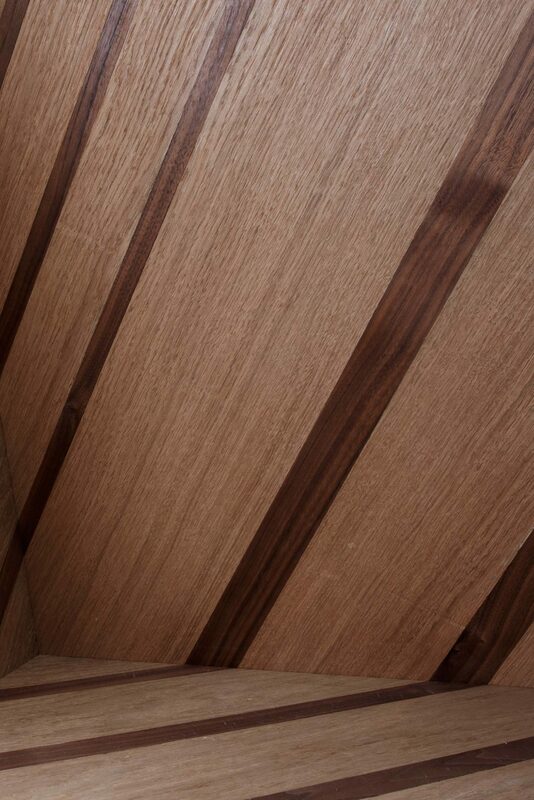 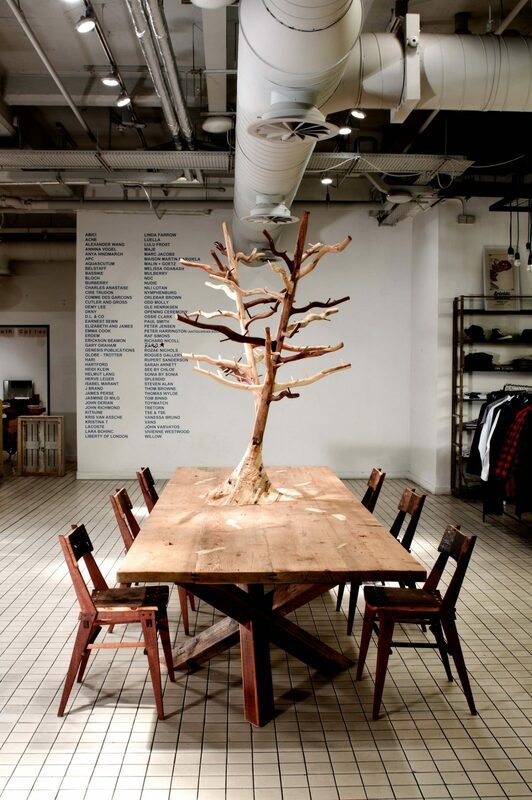 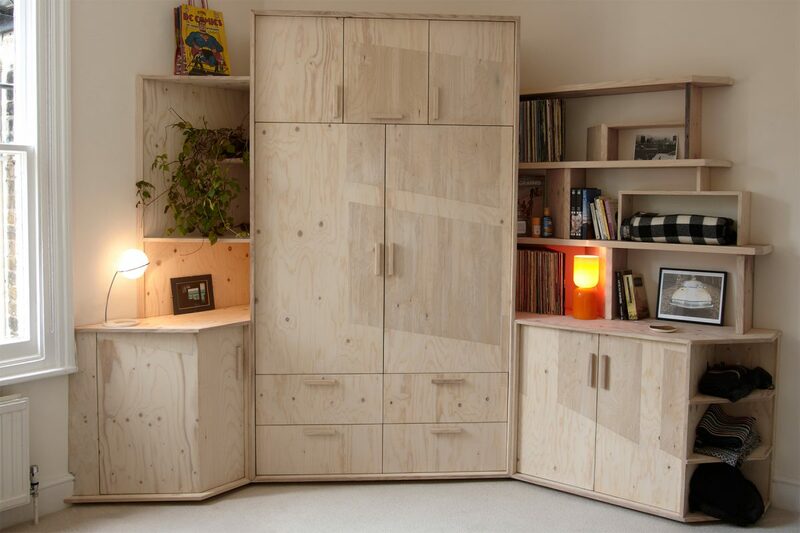 Relishing the challenge, we custom-made fittings, hid compartments and engineered boards from reclaimed Oak and Walnut flooring. 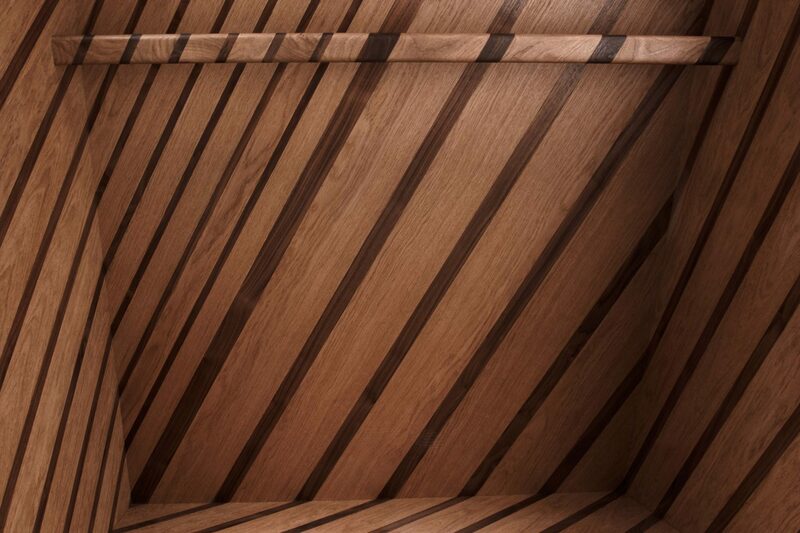 What starts as a simple pattern soon becomes distorted as the compound angles dictate where the stripes meet and fracture off.